To get Taboola ads out of the way during Internet browsing sessions on a Mac, it’s highly recommended to utilize an effective adware eradication technique. 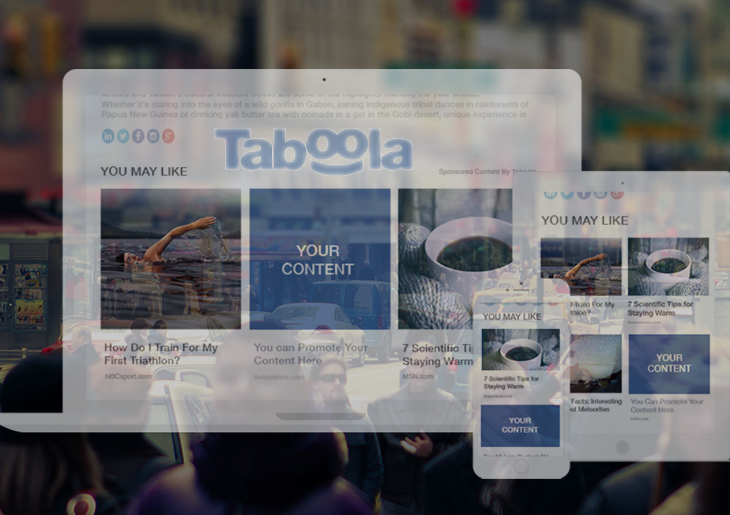 A growing number of Mac users have been falling victim to a potentially unwanted program that serves superfluous ads labeled “by Taboola”, “Sponsored links by Taboola” or “Promoted content by Taboola”. As opposed to run-of-the-mill ads on the web, the entities in question appear on unrelated sites, which basically narrows security diagnostics down to the presence of an add-on, toolbar or browser plugin that resides on a particular box running Mac OS X. Typically referred to as adware, intrusive applets of this kind complement the original website layout with a virtual layer that spawns different types of sponsored content haphazardly or upon certain user action. Therefore, when the targeted users open Safari, Chrome or Firefox, they may see several tabs opening automatically and resolving a landing page whose domain name starts with trc.taboola.com/bloomberg or similar. A yet more annoying effect has to do with pop-under ads by Taboola that emerge when the victim clicks on a video or simply on blank space anywhere inside a current page. Interstitial windows like that might slow down the browser until closed manually, which takes time because it’s not easy to notice these pop-unders going off. Other instances of third-party objects placement due to this offending app’s activity include floating boxes and large static blocks of ads labeled “Trending Now”, “More from the Web”, “From around the Web”, or “You May Like”. These may show up on search results pages as well as random sites, often times overlapping the native content. Before the Taboola ads issue takes effect, the Mac user typically downloads and installs something that covertly carries the adware loader under the hood. It’s most likely a multimedia player or video game whose installer is hosted on a freeware or shareware Internet resource, although the range of software that’s in cahoots with the infection can in fact be much broader than that. Such setups are accompanied by not-so-safe extra offers that are inconspicuous because the information is provided in fine print. This is a bundling ruse aimed at delivering whatnot to one’s computer without clearly explicating that it’s on board the installer and disclosing what it actually is. Below are some easy-to-follow tips that will help spot the Taboola infection, remove it completely and restore the web browser settings to their normal state. When confronted with malicious code like the Taboola adware on Mac, you can neutralize its toxic impact by leveraging a specially crafted system utility. The Freshmac application (read review) is a perfect match for this purpose as it delivers essential security features along with must-have modules for Mac optimization. This tool cleans unneeded applications and persistent malware in one click. It also protects your privacy by eliminating tracking cookies, frees up disk space, and manages startup apps to decrease boot time. On top of that, it boasts 24/7 tech support. The following steps will walk you through automatic removal of the Taboola ads infection. 4. Check whether the Taboola adware has been fixed. If the lock screen is still there, go to the Uninstaller option on Freshmac GUI. Locate an entry that appears suspicious, select it and click Fix Safely button to force-uninstall the unwanted application. 5. Go to Temp and Startup Apps panes on the interface and have all redundant or suspicious items eliminated as well. The Taboola ads fraud shouldn’t be causing any further trouble.